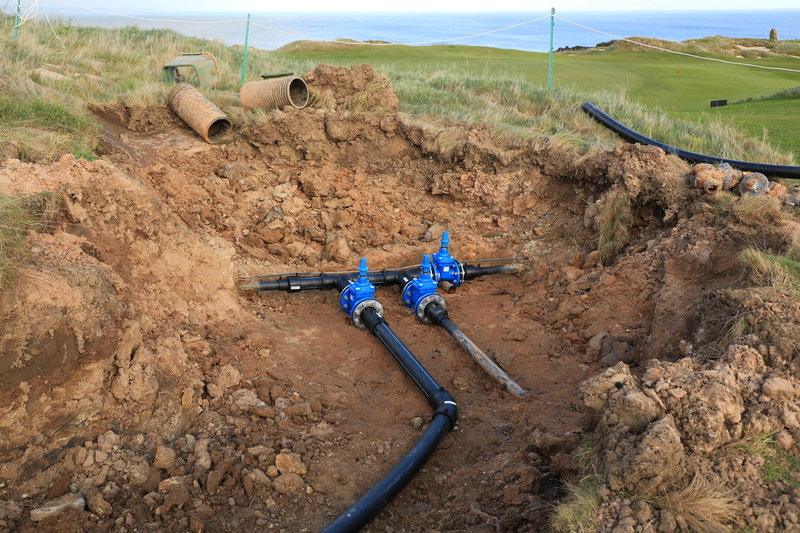 At the start of August, once the Women’s British Open Qualifier had finished, we laid four new irrigation pipes around the golf course to increase water flow to the front nine. There’s a narrow window of opportunity to water in the height of summer. 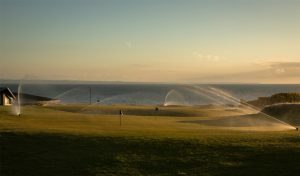 This is due to many golfers squeezing in a quick nine holes (usually the front nine) of an evening, which can make it a juggling act to try and water the necessary areas. 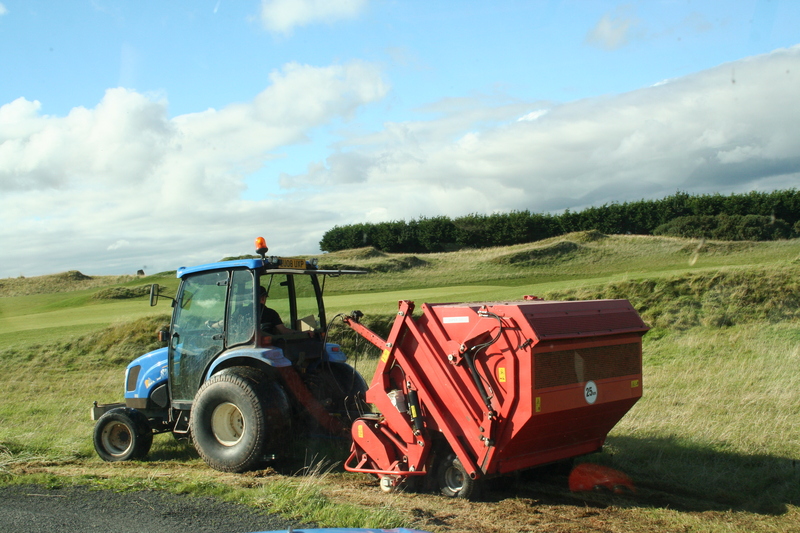 We didn’t want to impact the golf course visually too much with this work so routes were decided that were removed from the natural course taken by the golfer. 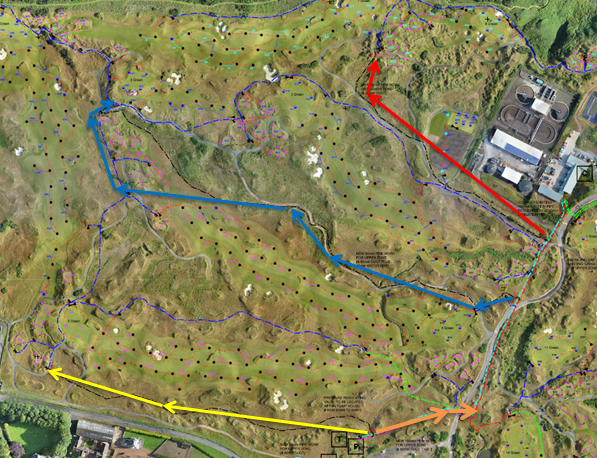 The only one that crossed the golf course was the one marked in blue and did so at the fourth tees. The decision was made to try and achieve as much as possible before we closed for winter. This gave us a head start on 2018 and allowed us some time in case of bad weather. 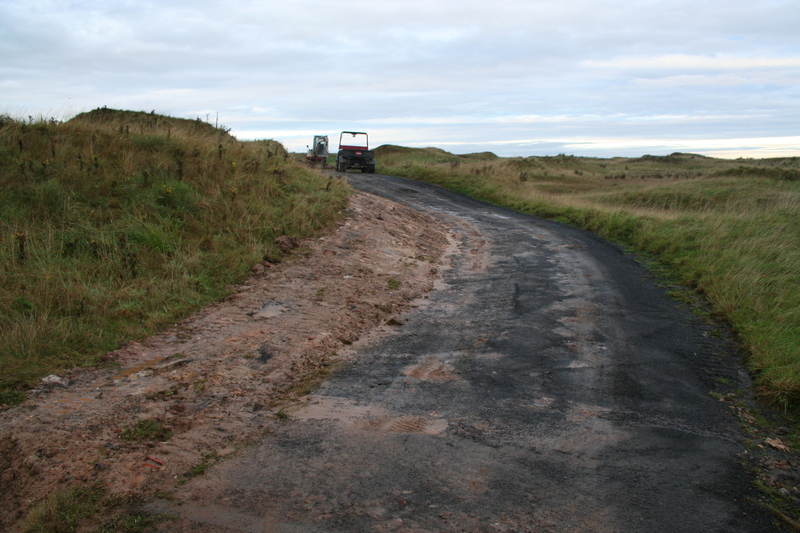 Each line was cut using our rough machine with all soil etc. easily cleaned up when finished. 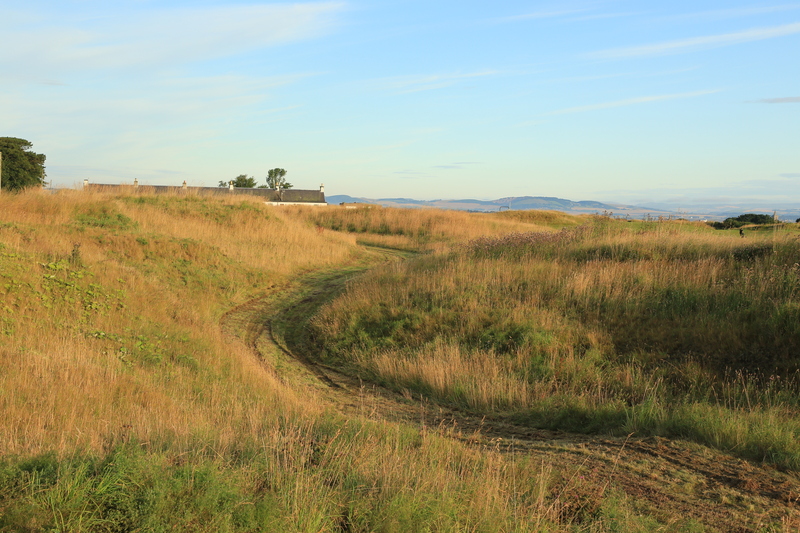 It wasn’t the easiest terrain in places to negotiate though. 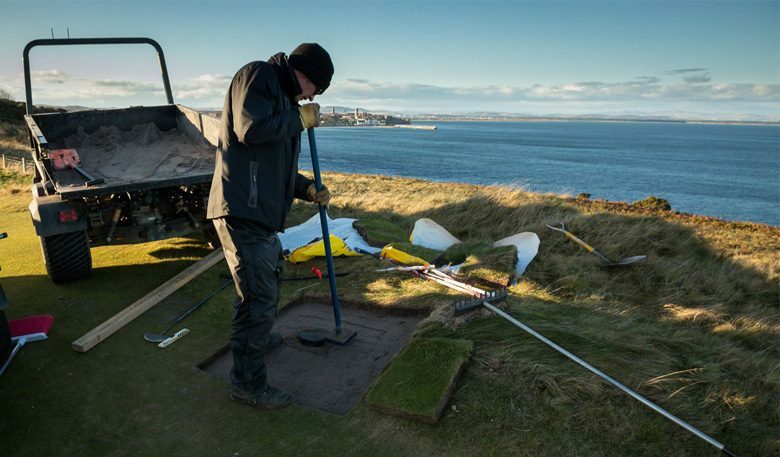 All the marked trench lines were checked for services before any digging was carried out. 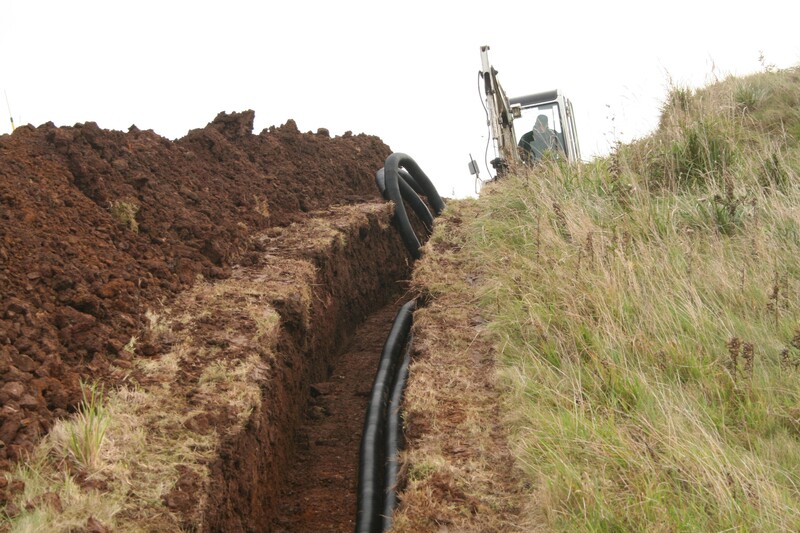 The depth of the trenches are 600 mm which is deep enough to protect the pipes from any frost damage or aeration work that might be carried out. 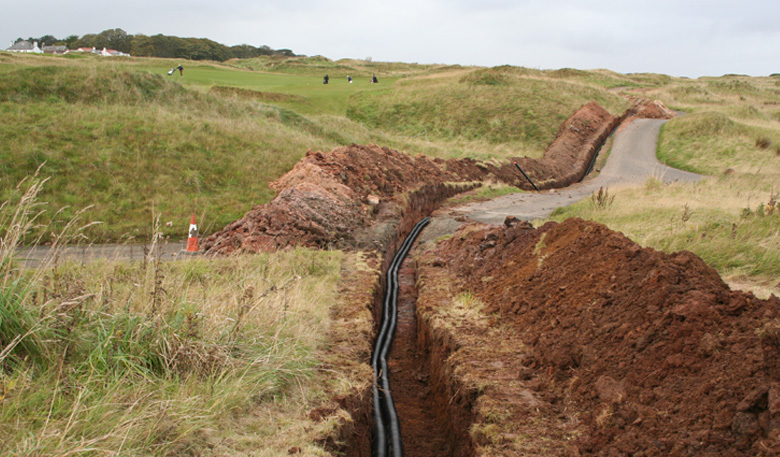 In each trench, our irrigation pipes were accompanied by service ducts. 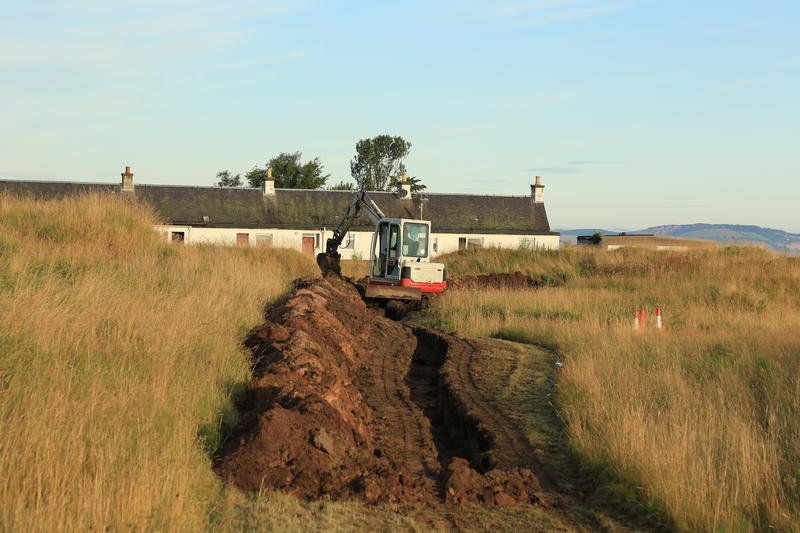 These allow us to get power and water to other parts of the course without having to dig new trench lines. At about every 100 meters a chamber was placed to allow easy access to these ducts. Where the new pipes join the existing system, valves were placed so certain areas could be switched off instead of the entire system. 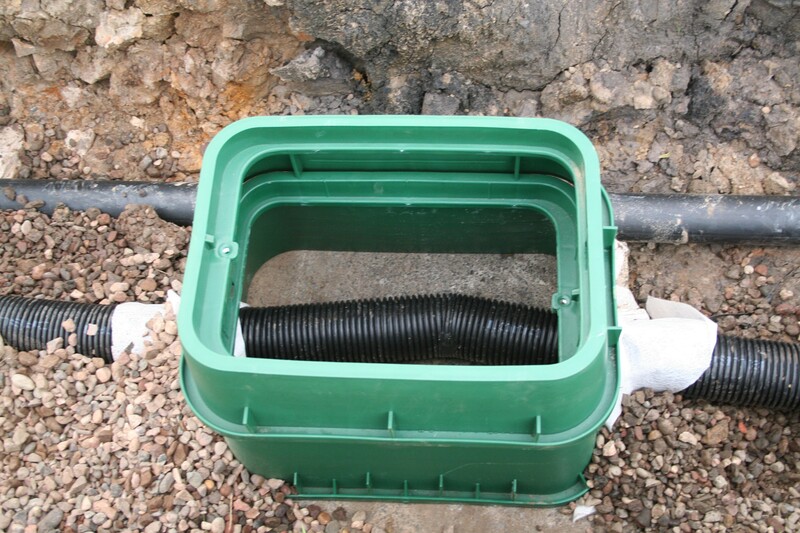 All the joins were done using a fusion welding machine which heats a metal coil and melts the plastic to join the pipes. Once all were joined and pressure tested to check for leaks, everything was then back filled. 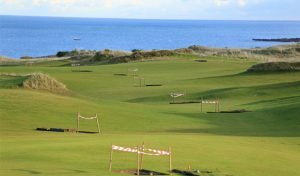 Seed was put over the top and hopefully by the time we get into the main golfing season these areas will have a tinge of green. All this work was carried out in September and October. With it now finished, our attention turned to changing all the irrigation heads. Keep your eyes peeled for an update on this work in part two of three in this blog series next month!